FORMER TT Triathlon Federation president, journalist and photographer Ian Gooding was remembered as passionate, full of life and a family man by his former colleagues. Gooding died of cancer yesterday at 76. He worked in multiple newsrooms, including Newsday, the Guardian, Sunday Punch and the Bomb. He also played a major role in the development of triathlon in TT, as a former president of the TT Triathlon Federation (TTTF). Horace Monsegue, news editor at Newsday, remembered Gooding for his talent in photography. “In the early days he was known as ‘Big O’ after the camera Olympus,” Monsegue said. He also remembered his former colleague’s energy. “He was the life of any party. He enjoyed life to the fullest, the best he could, and he had a wife who stood by him through thick and thin. That was Ian. 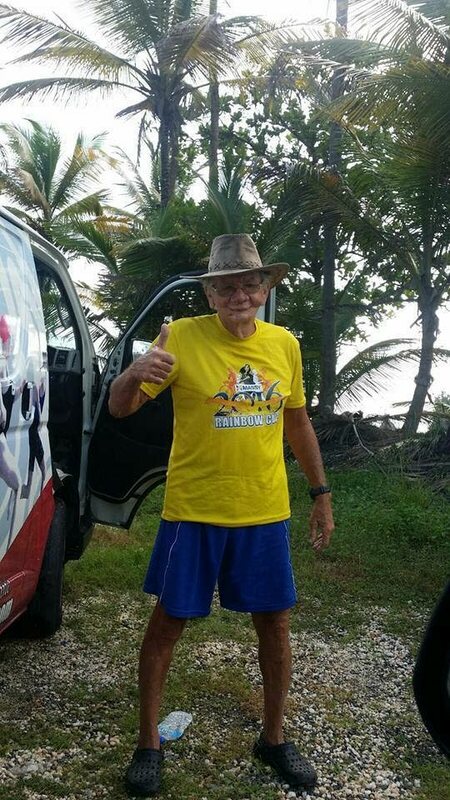 Gooding saw some of his dreams become a reality, as the Annual Rainbow Cup held in Tobago is one of the top triathlon events in the western hemisphere, as athletes from all over the world compete in it. Gooding worked alongside his wife Christine and children Jason and Maria in putting on the event. The triathlon is now one of the fasting growing sports in TT, as events are held on a regular basis. Former sports editor at the Guardian Valentino Singh said Gooding knew how to make people laugh and was always happy-go-lucky. Singh said Gooding was one of the pioneers of capturing the beautiful women in TT through his photographs, but was also involved in major news. Reply to "Gooding recalled as full of life"